It has finally turned fall in middle Tennessee. We actually saw the thermometer dip into the low 50’s today with some rain. For my Nebraska based friends who have already seen snow several times this month and a low of 6 degrees yesterday, I am sorry you are already tasting some of the old-man winter! But for me, I am happily singing the soup song today! I’ve made soup twice since the middle of September and both times we ate it while our air conditioner was still blasting away. Honestly, that just ain’t right! 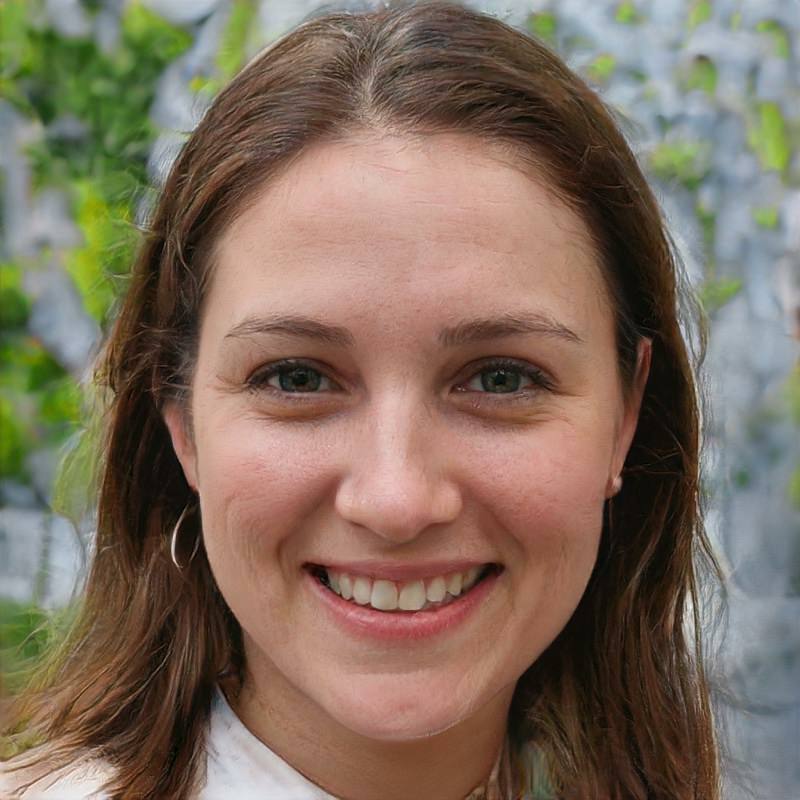 Praycookblog.com is still my cache for recipes. 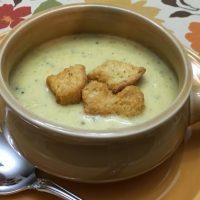 A quick search for a broccoli cheese soup recipe brought up only one healthified cheesy potato chowder. Not at all what I had in mind. 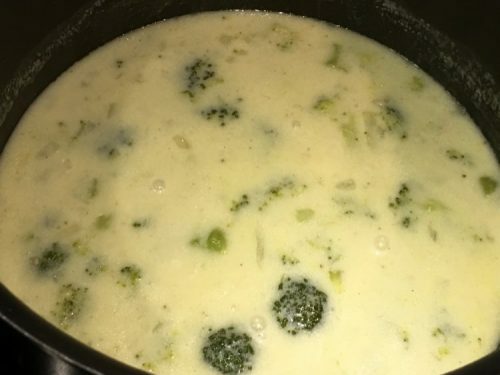 As I gathered the ingredients for my favorite broccoli cheese soup I quickly realized I wanted to share it with you. Thank you Andy for sharing this post on your site! 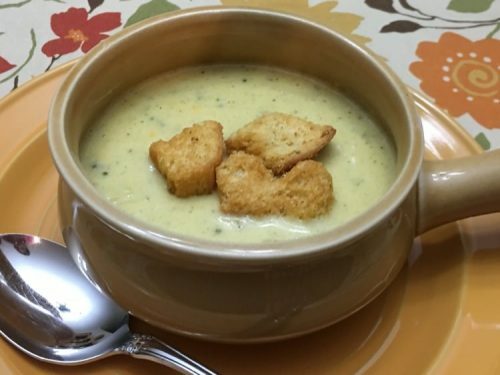 I adore freshly chopped, sautéed onions as the base for this creamy soup. 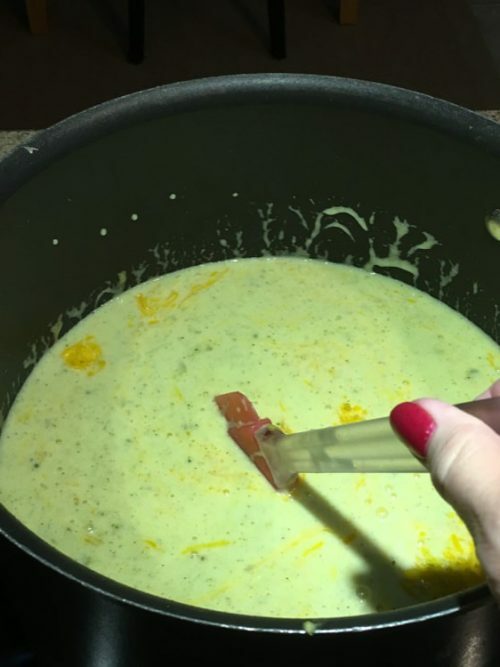 Even though it is a cream soup I try to use equal amounts of chicken broth or vegetable broth so it will settle well on my Sous Chef Dish-Washing mom’s stomach. After adding everything to simmer, except the cheese, I just turn it to low and let it go! This picture was taken after about 30 minutes of simmering the vegetables in the milk and chicken broth. 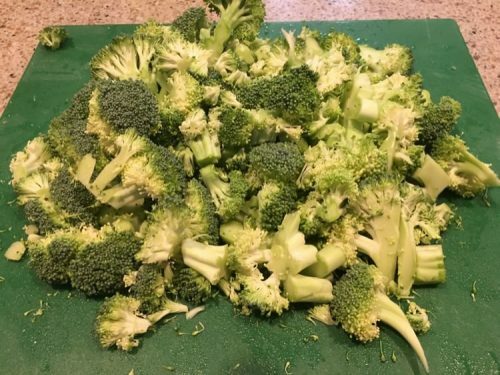 At this point, you can use an immersion blender to chop up the broccoli a little finer or you can put it in a large blender and do the same. I don’t have an immersion blender (I know! I need to put this on my Christmas list!) But I do have a Magic Bullet that I love, love, love! 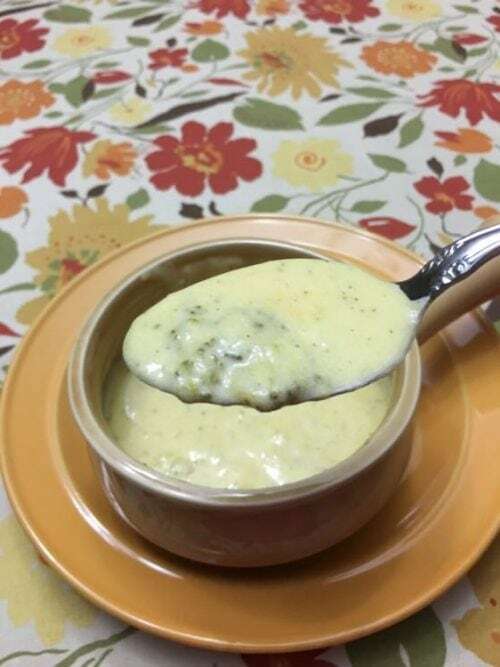 I spooned out the chunks of broccoli, potato and a little bit of liquid. Whirling it in the Bullet for about 10 seconds turned it into pure heavenly soup magic! 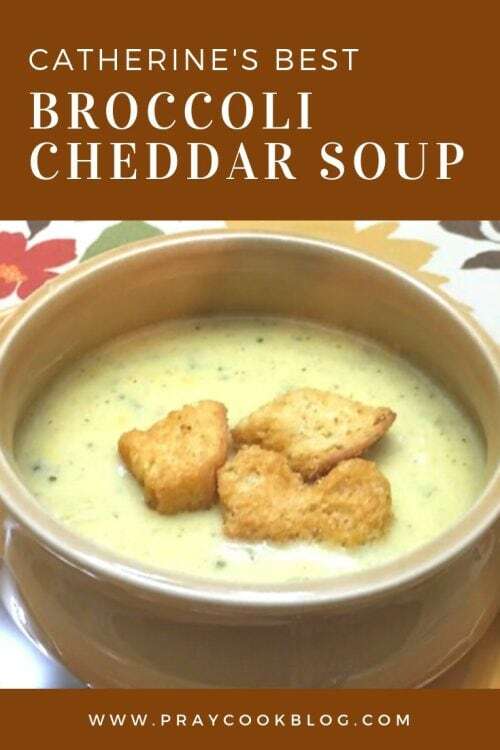 Once I added the broccoli mixture back into the low simmering soup I added the cheese just long enough to melt it all together. You do not have to crank up the heat. Keep this low simmering and the cheese melts and creates the most flavorful silkiness. You may use all cheddar cheese at this point or you can add in your favorite cheeses. For me, I slipped in a chunk of Velveeta along with 12 ounces of mild cheddar cheese. According to my Chief Soup Eater and my Sous-Chef Dish-Washing mom, this soup has a perfect consistency. 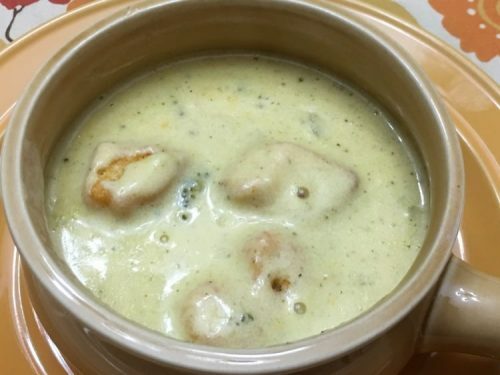 Creamy, silky, soupy, luscious. Happy Soup Season! Go. Make. Some. 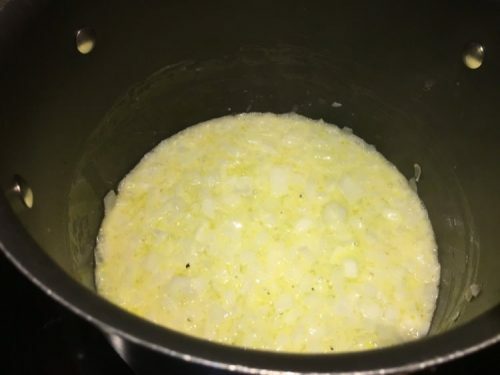 In a large pot, melt butter over medium heat and add in the chopped onions. Cook for 5 to 10 minutes until they are soft and the aroma is filling the kitchen! Sprinkle flour over the onions and stir for a few minutes making sure the flour and butter is smooth and well incorporated. Slowly add in the milk and the broth. Add the broccoli, potatoes, salt and a good amount of pepper. Cover and simmer (low heat) for 30 minutes or as long as an hour, depending on how much time you have. Stir occasionally to keep the bottom from browning. 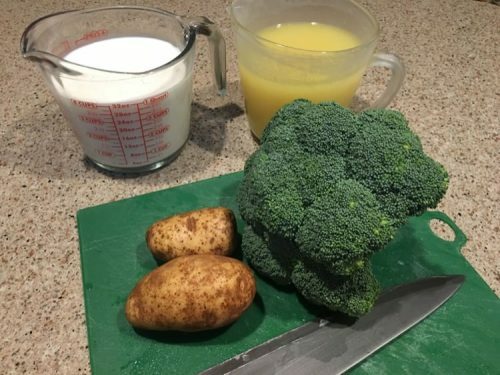 If you prefer small bits of broccoli rather than bite-size, this is a good time to use an immersion blender on low to blend up the broccoli and potatoes. Or you can remove some of the broccoli and potatoes and blend in your blender. Return the blended mixture to the soup. At this point add the cheddar cheese and optional Velveeta. Stir well and let simmer a few more minutes to melt the cheese. Serve up with a nice side salad and some crusty bread! YUMMY!